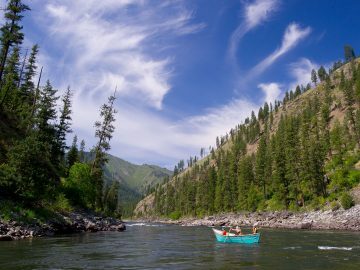 During a lunch hour chat on a Main Salmon River rafting trip last July, a physician and fellow rafting guest casually noted a few sun spots on my father’s face. He recommended having them checked out by a personal doctor after returning home. My dad did just that, and in the process of addressing his sun spots (which were indeed pre-cancerous but easily treated), he underwent routine physical exams that revealed a much more urgent problem…with his heart. Almost immediately, he was scheduled for quintuple bypass open heart surgery; the blockage was so severe, his cardiologist expressed surprise he hadn’t already experienced a heart attack. Today, my dad feels healthier than ever, and looks forward to many more adventures. We still think of the friendly physician we just happened to meet on the Salmon, and feel grateful for his advice that saved my dad’s life. 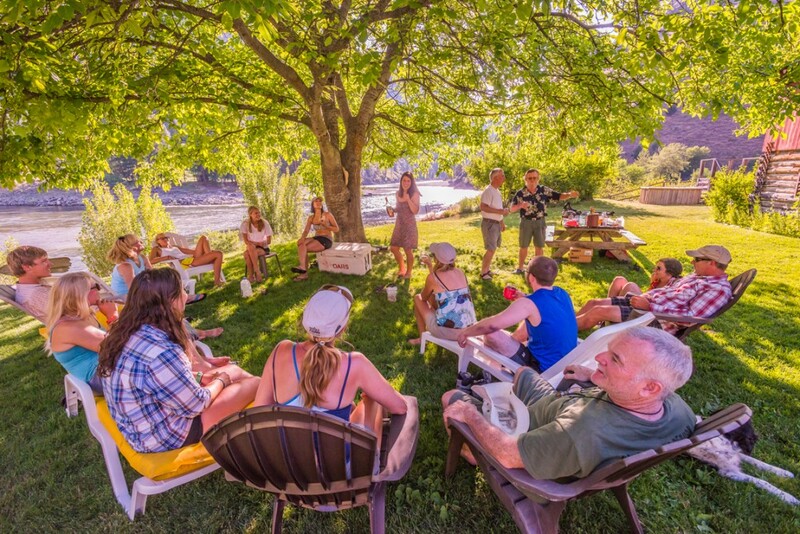 Perhaps this is an extreme example of the impact the people you meet on a river trip can have on your life, but the fact is, lasting friendships can form and lasting impressions are made. During our three river trips with OARS., I’ve made friends who are still, years later, circulating in my Facebook feed and in my email contact list. Christmas cards are sent. Photos are shared. The people you meet on the river are adventurous…or at least trying to be. Like you, they want to challenge themselves, and they have a genuine love of nature. Otherwise, they would spend their hard-earned money on another type of trip. Most of the people you meet will be at least somewhat experienced in the outdoors, but not all. 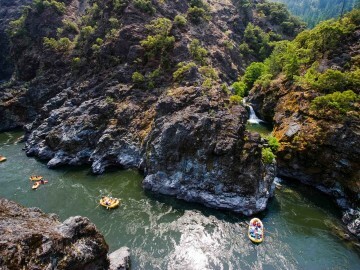 We rafted the Rogue River with a family who had never camped before, but were eager to try. On the same trip, we also met a couple who practically lived outdoors. The people you meet on the river want to get away from it all. Their priorities for their vacation are the same as yours: to leave the pressures and distractions of everyday life behind and spend quality time with each other. Whether or not you hold the same values regarding technology usage or work habits won’t matter, because on the water, everyone is forced to unplug and put away all the gadgets and do-dads. The people you meet on the river are interesting. I’ve found this to be true on all of our river trips, among all the guests and guides we met. 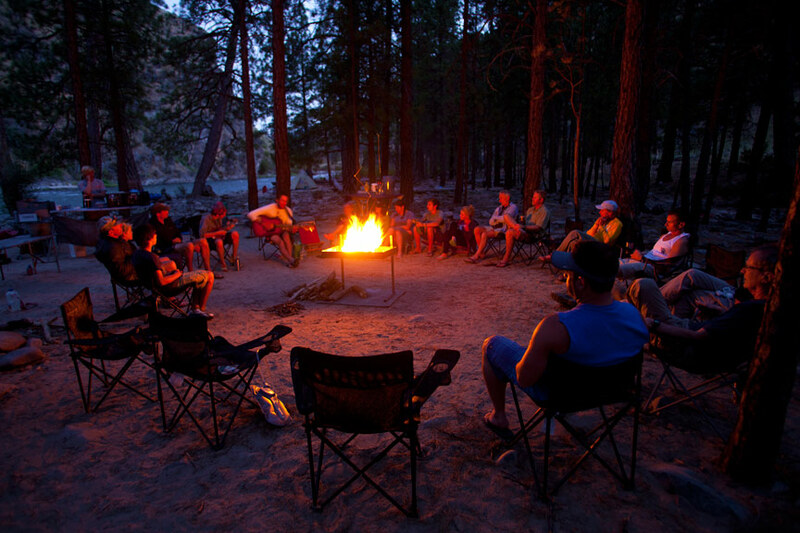 Perhaps we have different politics or beliefs, but people vacationing or working in the outdoors tend to bring intelligent conversation to the campfire. In Idaho, we enjoyed wonderful talks about river restoration and environmental issues with a former professor and two college students. 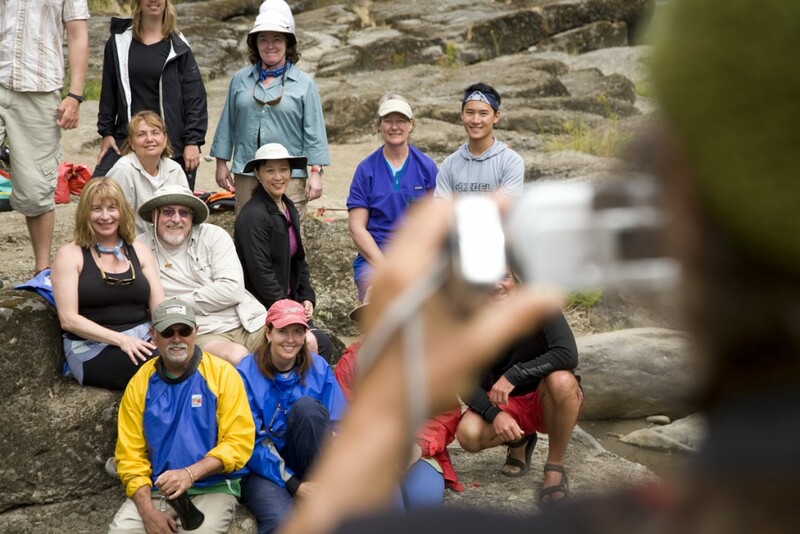 Will you click with everyone on your river trip? It’s unlikely. But even those guests who will not become personal friends share a common goal: to have one of the best and most meaningful vacations of their lives.